Go to http://lx.azure.microsoft.com/ and activate you key. Then you can access SQL Azure from the portal (https://sql.azure.com) and create or drop databases, find out the connection strings and so on. 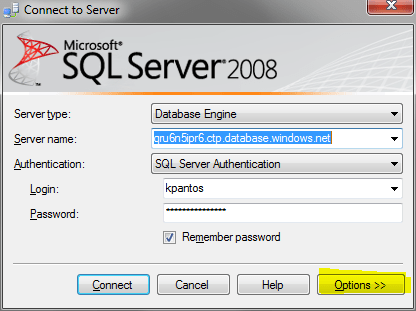 Enter the server name of the SQL Azure server. 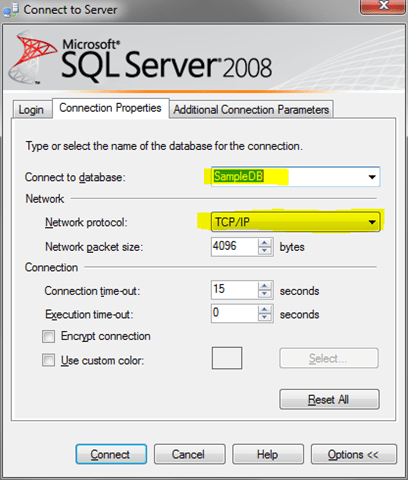 This information can be obtained from the SQL Azure portal. (no prefix, no suffix, no protocol should be appended). 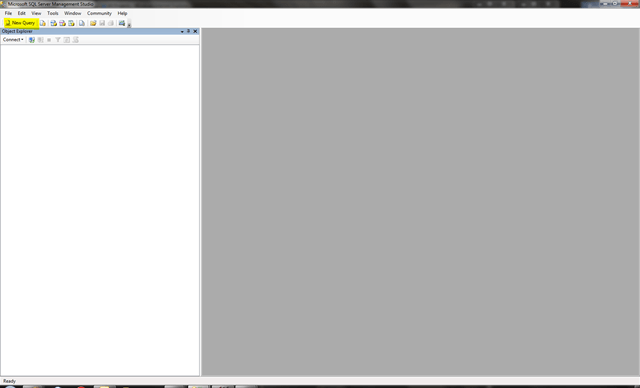 Enter the database name (master or another other database if you have created one). If you don’t you won’t be able to switch later (“USE” statement is not supported). 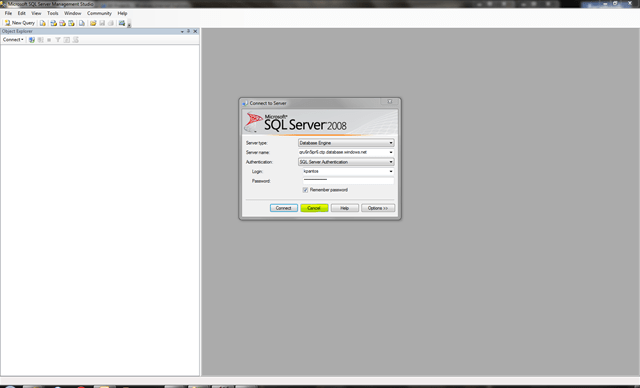 After that you’ll be able to run your SQL commands against you cloud SQL server. I was curious if you ever considered changing the page layout of your site? Its very well written; I love what youve got to say. But maybe you could a little more in the way of content so people could connect with it better.